Editor’s Morning Note: Here’s what $625 million buys you today. Google announced that it will buy Apigee yesterday for around $625 million. That makes this a fine moment to dive into the numbers, as we have plenty. A public shop, Apigee has reams of available data for us to play with, and with a final price tag in hand, we can divide and sum to our heart’s content. 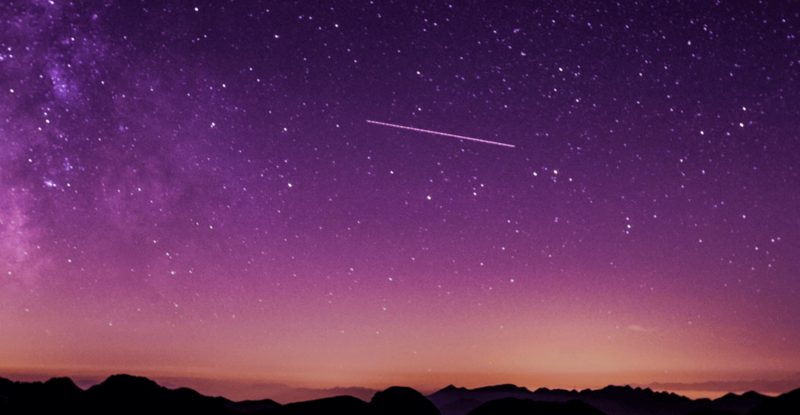 The market, pricing Apigee’s equity within a hair of the sale price, indicates that it doesn’t expect rival bidding; notable, as well, is the incredibly modest premium on the company’s prior share price that Google is managing to pay. That’s a conservative signal. As you can see, things didn’t go well when the company first went public in 2015. In fact, it fell from its IPO price on its initial day’s trading. Then, after declines, two broader corrections pushed its shares under the $6 mark. Apigee went public at $17. Next, the company managed a steep value ramp from mid-2016 to today. After nearly reaching its IPO price under its own steam, Google showed up with a checkbook. How did the comapny go from public doldrums to the hallways of Mountain View? Let’s find out. 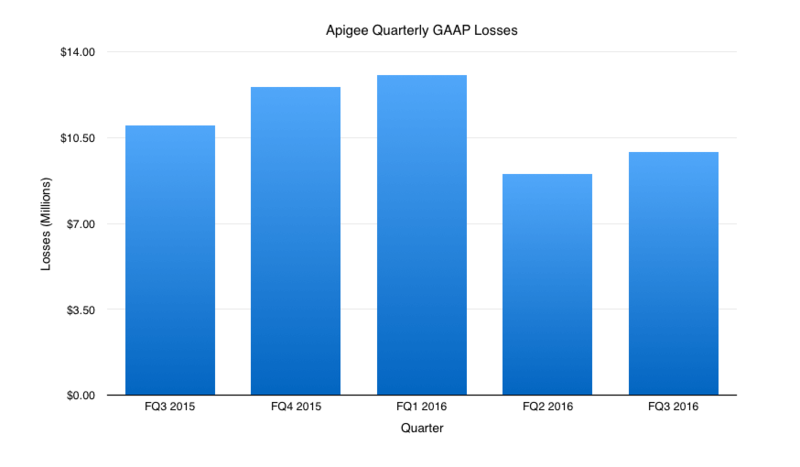 Apigee won’t release its fiscal fourth quarter earnings until next week, so we only have data for its performance up through April. Before we dive into the hard numbers, ask yourself how you read those charts. Revenue growth? Yes. But at what pace? Falling losses? Somewhat, but, check that last result. How would you value the company? 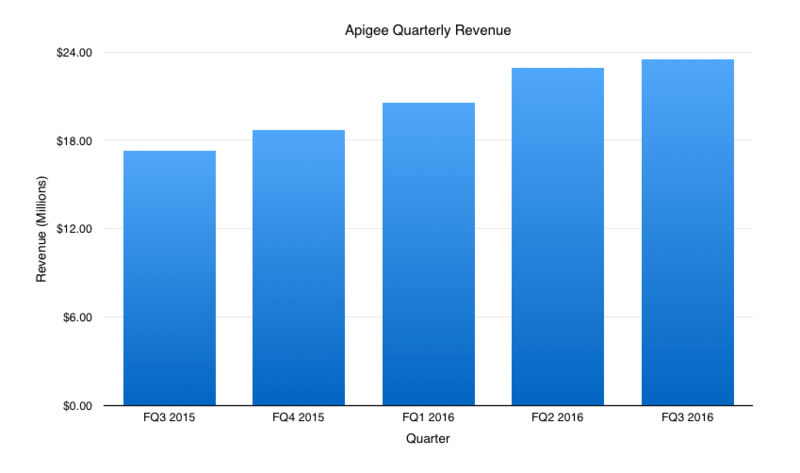 Apigee’s trailing-twelve-month revenue (TTMR): $85.62 million. Apigee’s trailing-twelve-month gross profit: $59.11 million. Apigee’s trailing-twelve-month losses: $44.54 million. Comparing the company’s $625 million sale price compared to its TTMR gives us a multiple of 7.3. Keep in mind that TTM stats are conservative. If instead we took Apigee’s most recently reported quarter’s revenue and extrapolated it forward assuming no growth, the multiple falls to 6.6x. And if you went full fantasy, you could find a revenue multiple predicated on assumed future growth to make it appear that Google was paying less for top line than it really is. Again, it’s a matter of taste. If we calculate its TTMR from that $17.0 million quarter backwards, you end up with a sum of $61.9 million. That works out to a revenue multiple of just over 8.0. That’s only up modestly from the company’s sale-price 7.3x TTMR multiple. Expected something else? Various sources peg Apigee’s value at just under $500 million at its $17 IPO, and various sources peg its sale price at $625 million at $17.40 per share, despite only very mild share-count inflation. Regardless, the company grew revenue 38 percent from its final S-1/A entry to its most-recent quarter’s sum. And in that time period, including falling losses, it only saw its value increase 25 percent. The gap ‘twixt the two is our multiple compression. Lessons? Even with far better margins and continuous growth, Apigee’s revenue has lost value on a per-dollar basis since its IPO. The decline isn’t as extreme as we might have guessed, but here we are all the same. Homework: Without Google’s purchase premium, how does the picture change?